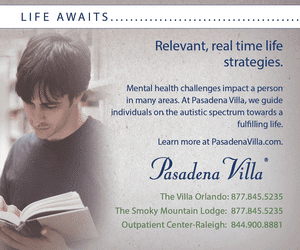 It has been a tough month for the autism community being cast in a negative light. Choosing which language to use is extremely important! In the past month, someone commented on how we should stop using the term Asperger’s because it doesn’t exist anymore. To that I would like to explain: 1. I ask people how they would like to be referred to when I can ask them specifically; 2. the articles we post on social media (Facebook, Twitter, Google Plus, etc.) are often informational articles found on the internet that we think you can benefit from in some way or find hope from despite the occasional misuse of language (by journalists not knowledgeable about ASD) to keep you informed, if there is an issue with the article please contact the journalist that wrote the article perhaps you can educate them and if you think the article was posted in error please contact us; 3. that just because the DSM-5 changed the diagnostic criteria does not mean that people that were diagnosed with Asperger’s (with the DSM-IV) don’t relate to that term and prefer to use it, 4. people do not lose their diagnosis and as such have every right to refer to themselves as “having Asperger’s or as an Aspie.” Also, Maayan Jaffe reported that scientist Idan Menashe at the Ben Gurion University in Israel stated, “…he believes there are multiple strands or variations of the disorder. We are trying to use the genetic data to ask whether each different mutation [relates to] a different type of autism.” Due to this, I feel that sometimes it is necessary to state which “type” of autism is being referenced. Ultimately, I try to avoid labeling people and when it must be mentioned I ask the person but when writing about a population and not a single person this can get quite complex. The bottom line is – words empower people, inspire people, educate people, but can even degragate and sterotype people. Forbes contributor, blogger, and scientist, Emily Willingham, wrote a rebuttal to the Washington Post article and in it states,“…Clare Allely and co-authors claim that 67 of the 239 “eligible killers” they evaluated in their review had “definite, highly probable, or possible” autism spectrum disorder.” Really?!! Yet this is a credible source and warranted an article by the Post? That’s as clear as Wanda Sykes in the movie Evan Almighty when she says, “I go to church every Sunday. Well, every other Sunday. Hell, I’ve been to church.” I mean “possible autism!” Willingham goes on to state, “…at one point [the study] elides it completely by referencing “evidence of ASD traits.” Everyone shares autism traits–autistic people aren’t Martians with an entirely separate set of nonhuman behaviors. That doesn’t make everyone autistic, including people who might have overlapping traits and commit terrible acts.” I couldn’t agree with Willingham more; I could list several people in my personal life that have some characteristics of autism. To prove how erroneous the article was, Paula C. Durbin-Westby further checked their facts and states, “It turns out that only 6 had “definite” ASD and of those 6, several have no reliable sources to back up the diagnosis and at least one contains testimony by an expert witness that the killer did not have an autism diagnosis.” So let’s get this straight, five of the 239 killers were autistic; five! Many people wrote how the word “Significant” should be removed from the Washington Post’s article should be changed and I signed the petition to have it altered but I fear that fear has already been put in place. I’ve heard psychologists and parents ask how to explain to their child that they aren’t destined to be a mass murder and more parents fear that this negativity will only lead to more bullying and hate crimes toward autistics. Words matter! If they didn’t we wouldn’t have books, magazines, Twitter, etc. Before the article was posted I had been researching if I should use person-first or identity-first language. At first, I turned to Twitter where I publicly asked the question to all autistic adults, that when it must be mentioned, what would you prefer person-first language (person with autism) or identity-first language (autistic or Aspie)? I was shocked to see that the people that preferred person-first responded publicly to my tweet whereas the majority of the identity-first supporters chose to privately message me about their choice and why they supported it. I then asked a disabled friend’s opinion (that is how he prefers to be labeled) and he recommends these books: Claiming Disability: Knowledge and Identity – By Simi Linton; Disability Discourse – By Mairian Corker & Sally French; Exploring Disability – By Colin Barnes & Geof Mercer. I continued researching all sides of the issue and ultimately came across an article that I imagined would be similar to what I would write if I wrote about language because it discusses both sides of the issue. However, it is even more awesome because it is written from a first-person perspective. I strongly recommend you read our opening article by Lydia Brown explaining person-first and identity-first language. It is because of all this research that the magazine will predominantly use Identity led language from now on but that we will leave individual language choices up to our writers. 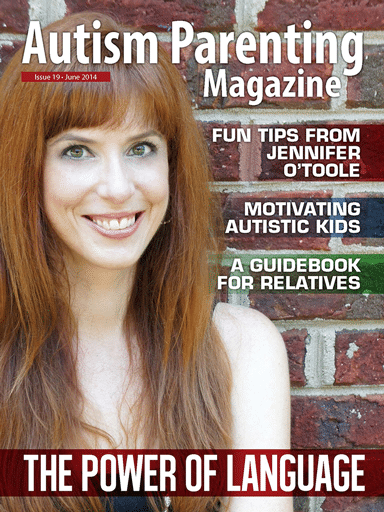 Speaking of writers and positivity, I had the pleasure of interviewing Jennifer O’Toole who is an Aspie that started a company filled with great educational ideas, and design tips and so much more to empower and encourage our children to be the best they can be. She just released this book entitled, The Asperkid’s Gameplan and it is filled with tons of fun, at-home games that build skills without the kids even realizing they are being taught. Even better we will be doing a book give-away on Facebook during the month of June so one lucky reader will get the chance to do these awesomely fun skill-building games with their children over the summer. Be sure to check out our product review of the Yogibo and the new family friendly recipe that The Autism Food Club will be generously providing monthly. 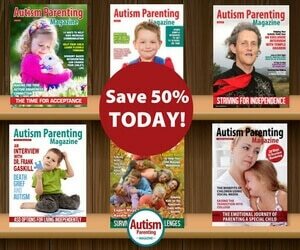 Also, our team has been working overtime to convert the magazine issues to Kindle and we would like to announce that Autism Parenting Magazine is now available on Kindle so please tell your friends and family members! In the Deaf community, somebody who is Deaf has to give you your name sign. In the same way, “Asperger’s” is a name we are now free to give ourselves without the negative associations of a disorder, a diagnosis, or a disability. Originally, it meant “highly verbal autistic.” Now it is coming to mean “a person with autistic strengths and weaknesses whom you ought to appreciate rather than dismiss.” We are working hard to speak of autism with love, framing it in a positive way, as a difference, sometimes a difficulty, but never a complete disaster. 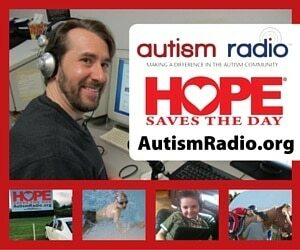 The term “Asperger’s” is one way to do that.